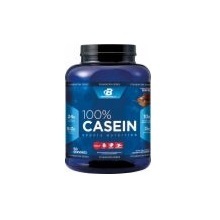 If you'd like to see if 100% Casein (Chocolate) contains substances that are banned by your sports organization's Banned Substance List, sign up now or log in. Declared Ingredients Sodium (As Sodium Chloride), Potassium. Other Ingredients:Micellar Casein, Milk Protein Concentrate, Nondairy Creamer, (Sunflower Oil, Corn Syrup Solids, Sodium Caseinate, Mono- And Diglycerides, Di-Potassium Phosphate, Tri-Calcium Phosphate, Soy Lecithin, Tocopherols), Cocoa Powder (Dutch Process), Natural And Artificial Flavors, Polydextrose, Sucralose, Silicon Dioxide. Have a question about 100% Casein (Chocolate) Use our secure online messaging system to ask our Aegis Shield Experts.